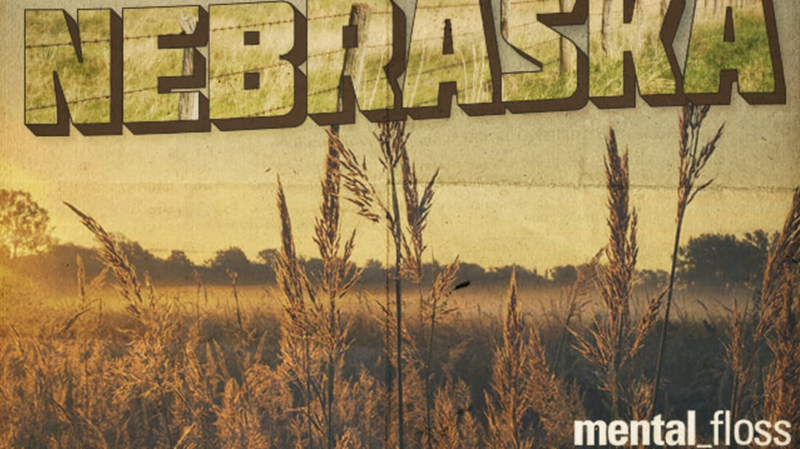 From Charles Lindbergh's first flying lessons to Buffalo Bill's Wild West show, a lot of big things have come from small towns in Nebraska—and those are just a couple of the many things you probably didn't know about the Cornhusker State. 1. The city that would become Nebraska’s capital was originally named Lancaster, after the town in Pennsylvania. It was renamed to honor Abraham Lincoln after his assassination, but there was also an ulterior motive. There was talk of moving the state capital from Omaha to Lancaster in 1867, and because much of the state had supported the Confederacy during the Civil War, a Nebraska legislator who wanted to keep the capital in Omaha decided to “honor” Lincoln by renaming Lancaster. He was also counting on Confederate sympathizers to vote against moving the state capital to a town named after the man who ended slavery. His plan failed. 3. Covering 1.5 acres, the eight-story-tall Lied Jungle at the Henry Doorly Zoo is the largest indoor rainforest in the U.S. You’ll find everything from pygmy hippos to Malayan tapirs and capuchin monkeys. 4. 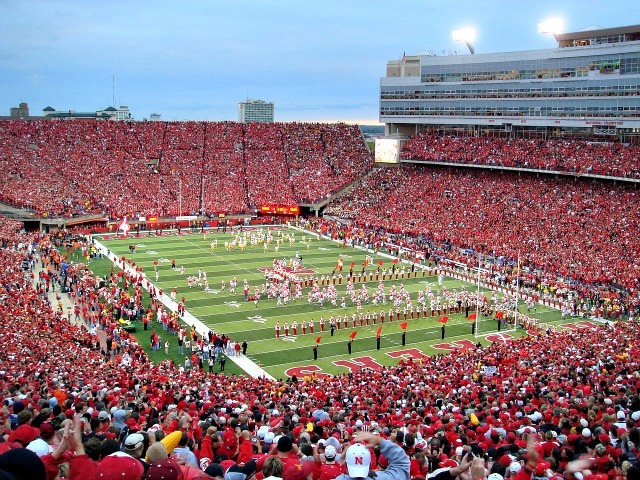 The Nebraska Cornhuskers’ football stadium holds more than 90,000 people. On game day, that makes it the third most populated place in the state, second only to Omaha (434,000) and Lincoln (268,000). Coming in a distant fourth is Bellevue, Nebraska, with a population of approximately 54,000. 5. Before their distinctive nickname stuck, the University of Nebraska’s football team was known as the Old Gold Knights, the Antelopes, the Rattlesnake Boys, and the Bugeaters. Apparently tired of referring to his team as “the Bugeaters," a Nebraska sportswriter borrowed "Cornhusker," a term used by a team in the neighboring state of Iowa. But no hard feelings—Iowa seemed to prefer “the Hawkeyes” anyway. 6. Arbor Day started in 1854 with a pioneer named J. Sterling Morton. An agriculture enthusiast, Morton immediately saw the need for more trees on the prairie when he moved from Detroit to Nebraska. By 1872, he had convinced the State Board of Agriculture to promote a day for everyone to plant trees “both forest and fruit.” The first Arbor Day was celebrated that year with more than a million trees planted in Nebraska alone. 7. You can still see evidence of Oregon Trail travelers. The wagon roadbed is still visible at Scotts Bluff National Monument, though the actual ruts were lost to erosion a long time ago. You can also hike about a half-mile on the actual route. 8. Speaking of Oregon Trail landmarks, one of them seems to be dwindling due to erosion. 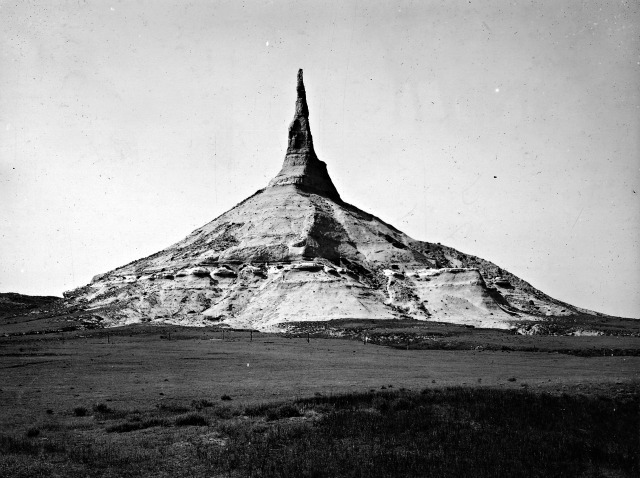 Chimney Rock, a prominent rock formation near Bayard, Nebraska, was another important marker for the covered wagon set. It’s a good thing the the geologic wonder has been preserved on the state quarter, because it’s not quite as impressive as it once was, having lost more than 30 feet in the past 150 years. 9. If you’ve always wanted to see 39 automobiles arranged like Stonehenge, you’re in luck. Alliance, Nebraska, is home to just such a site. 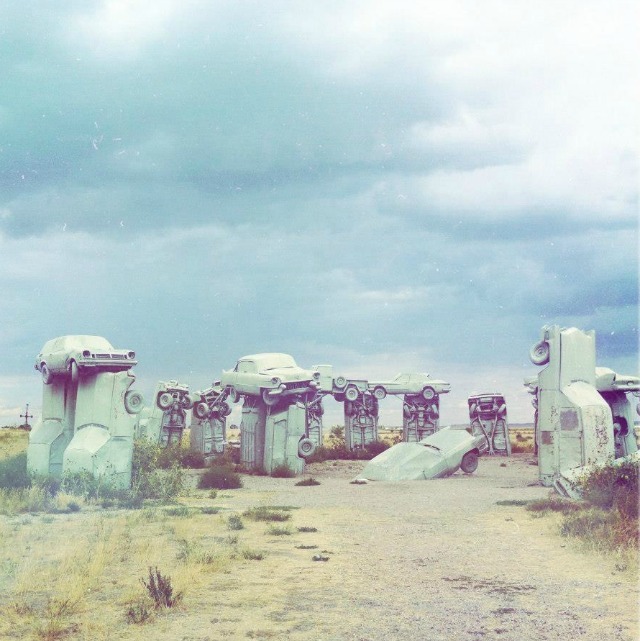 "Carhenge" is the brainchild of artist Jim Reinders, who made the sculpture to honor his deceased father. "It took a lot of blood, sweat, and beers," Reinders said. 10. Berkshire Hathaway and its chairman, Warren Buffett, are both based out of Omaha—and neither will be leaving anytime soon. "There's plenty of other places I like, but the one I love is Omaha," Buffett said. "The weather may be a little better some other place else, but that really doesn't make much difference to me in terms of how I feel about enjoying life." 11. Nebraska doesn’t have an official state food, but if it did, Runzas would be the winner. Runza is a fast food chain whose bread and butter, so to speak, is ground beef and cabbage. The stinky combo is stuffed into a pastry shell and served hot. The whole thing is called a “Runza,” and it's beloved by Nebraskans. Runza's 82 restaurants are almost exclusively in the Cornhusker State, with just one in Colorado, two in Iowa, and two in Kansas. 12. While it doesn’t have an official state food, Nebraska does have an official state soft drink: Kool-Aid. Originally called “Fruit Smack,” Kool-Aid was invented by a man named Edwin Perkins who ran a small mail-order business out of Hastings, Nebraska. Though the Fruit Smack concentrate syrup was one of his most popular products, the glass bottles often broke in transit. Perkins invented a powder concentrate in 1927 to solve the problem, and Kool-Aid was born. 13. First known as the “Old Glory Blowout,” Buffalo Bill’s Wild West show was formed in the little town of North Platte, Nebraska. William “Buffalo Bill” Cody’s home there, Scout’s Ranch, still stands. Buffalo Bill State Historical Park now encompasses 25 of the original 4000 acres Cody owned. 14. Nebraska has the only unicameral legislature in the United States, meaning that it has a single-house system. It’s also nonpartisan—there are no party affiliations listed on voting ballots. 15. If the Ogallala Aquifer was spread evenly across the U.S., it would cover all 50 states with 1.5 feet of water. But the underground reservoir is disappearing fast, and once it’s gone, it’s gone: Scientists estimate it will take more than 6000 years to refill naturally. 16. You can thank Nebraska for the Reuben sandwich. 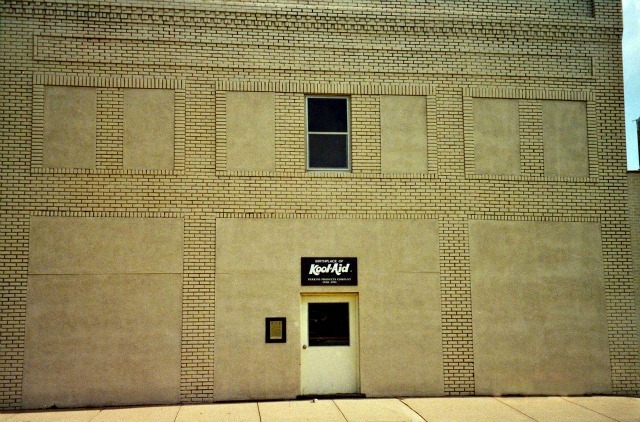 Though its origins are hotly disputed, one of the most likely stories is this: In 1927, chef Bernard Schimmel was working at the Blackstone Hotel in Omaha. Schimmel’s father played poker with some buddies at the hotel every Sunday night, and one night, a player named Reuben Kulakofsky asked the younger Schimmel for a sandwich with sauerkraut and corned beef. Rather than just slapping the requested items on some white bread, Schimmel combined the sauerkraut with Thousand Island dressing, then layered it with corned beef and Swiss cheese sandwiched between dark rye bread. It was such a hit that the Blackstone added it to the menu. Sadly, history remembers the sandwich as a Reuben instead of a Bernard. 17. Charles Lindbergh took his first flying lessons at the Nebraska Aircraft Corporation flying school in Lincoln in 1922. He paid $300 [PDF] for 10 hours of instruction—a small fortune at the time. His instructors realized that Lucky Lindy was a natural, and let him eschew the last few flying lessons for parachute jumping practice. 18. The state is home to Archie, the biggest mammoth on display anywhere. This 14-foot fossil was found in 1922 by a rancher in Lincoln County. He turned Archie over to the University of Nebraska State Museum where he still lives today. The creature's name, by the way, comes from his scientific classification, Archidiskodon imperator maibeni. 19. 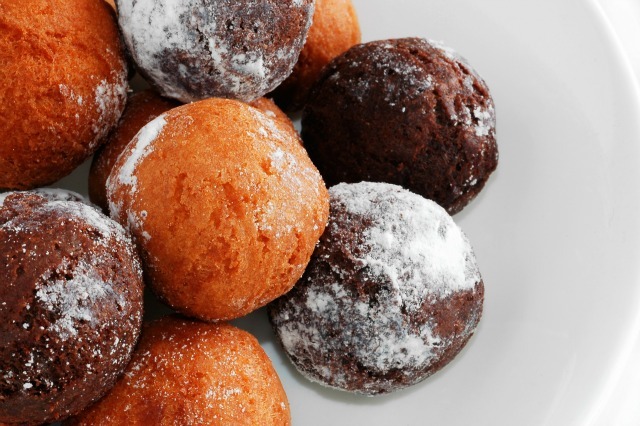 A law written in the village of Lehigh back in the late 1800s forbade merchants from selling doughnut holes. A chairman of the village board said that “old-timers” considered them waste and believed bakers were selling the middle parts of the doughnut to make undue profit. Though the law was repealed in the 1990s, the delicious treats are still apparently hard to come by in Lehigh. 20. It’s a landlocked state, but Nebraska does, in fact, have a Navy. It was commissioned in 1931 by Lt. Governor T.W. Metcalfe, who wanted to gift his friends with ridiculous and meaningless government appointments. The rank of Admiral is awarded to people who have “contributed in some way to the state, promote the Good Life in Nebraska, and warrant recognition as determined by the governor. Admirals include Queen Elizabeth II, Captain Kangaroo, Big Bird, Dr. J., John Glenn, and Bill Murray (obviously). 21. The whole Navy thing is actually kind of appropriate, because "Nebraska" is derivative of Native American words for "flat water" or "great water." They were referring to the Platte River, a wide, shallow river that spans the length of the state..
22. Roy Rogers’ faithful horse, Trigger, died of natural causes in 1965—but you can still see him at RFD-TV in Omaha. Not a replica—the real Trigger. The stuffed and mounted horse was displayed at the Roy Rogers and Dale Evans Museum in Branson, Missouri, until 2010, when he was sold at auction where he brought in a whopping $266,500. RFD-TV uses Trigger for promotional events, along with Rogers’ dog, Bullet. 23. It wasn’t just Pearl Harbor that was hit during WWII. On April 18, 1945, a Japanese balloon bomb exploded in the sky over Dundee, a section of Omaha. Fortunately, it didn’t do much damage, and the attempt was kept hush-hush until after the war was over. 24. Leslie Lynch King, Jr. was born in Nebraska. Who? Oh, right—you probably know him better as Gerald Ford. Ford’s mother, Dorothy, left his abusive biological father when the future president was just two weeks old. Dorothy moved from Omaha to live with her parents in Grand Rapids, Michigan, where she eventually met her second husband, Gerald Rudolff Ford. In 1935, her son changed his name to Gerald Rudolph Ford to honor the only father he ever knew. 25. 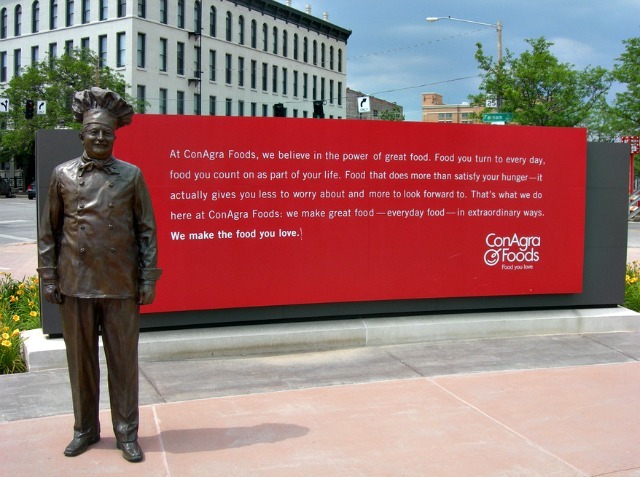 There's a six-foot-tall statue of Chef Boyardee in Omaha. No, he’s not from there (and yes, he was a real person). Until recently, Omaha was home to the headquarters of ConAgra Foods, Inc., a business that includes brands like Healthy Choice, Jiffy Pop, Reddi-Wip, Slim Jim, and Chef Boyardee. The man behind the canned pasta mascot was actually Hector Boiardi, who was a renowned chef long before his face graced cans of Spaghetti-Os.